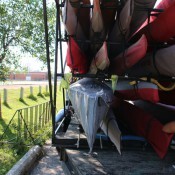 Winnipeg-born canoe-sprinter Nadya Crossman-Serb first began kayaking at age eight. Her career in sport started when she began playing on an all-boys hockey team, where she began to learn the rules of the game – evidently, her competitive spirit kept her in the penalty box more than it kept her on the ice. 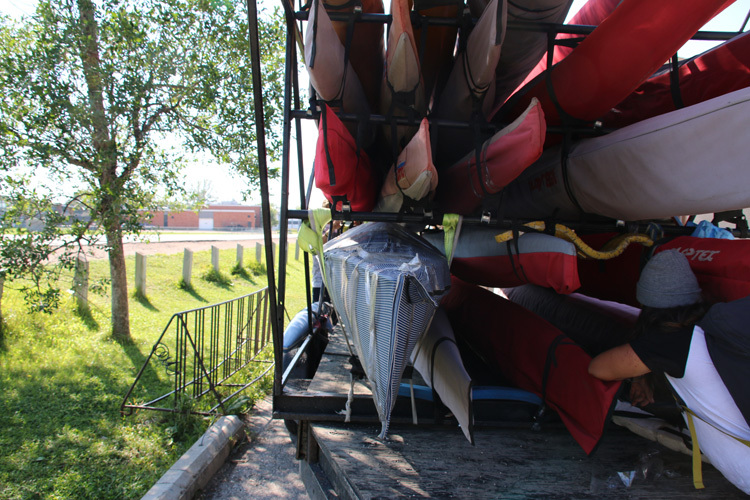 At the time, Nadya’s brother had been involved in paddling, which eventually led her to kayaking. 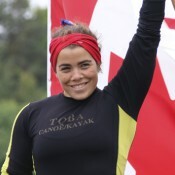 At 17, Nadya had been named to Team Canada, for a U17 International Regatta in Czech Republic. At 18, she had made the Senior National Team. In the 2016 season, Nadya won a silver medal at the Jr. & U23 World Championships, and made her debut competing in sprint canoe at a senior international level. She and C2 partner Katie Vincent won gold at Canoe Sprint World Cup 1, at Nadya’s first ever World Cup appearance. Now 20, Nadya is looking to compete at the Toyko 2020 Olympics, where women’s canoeing will be part of the Olympic program for the first time ever. Her ultimate goal in sport is to become an Olympic athlete. When Nadya isn’t training, she is working toward a Bachelor of Science in Nursing. Nadya needs your help to continue along her pathway to the Tokyo Olympic Games. WINNIPEG FREE PRESS (June 21) Nadya Crossman-Serb took home a gold medal in women’s C2 at Canoe Sprint world cup. CANOE KAYAK CANADA (May 29) Katie Vincent & Nadya Crossman-Serb won gold in the Women’s C2 500m at World Cup 2. CANOE KAYAK CANADA (May 22) Katie Vincent and Nadya Crossman-Serb (Winnipeg, MB) finished fourth overall in the Women’s C2 500m.